These low-fat Cookie Bars with Pistachios and Cherries are lower in fat and calories than traditional cookies, but loaded with taste and holiday festiveness! Sparkly sugar seems to make everything more festive. But the red of cherries and green from crunchy pistachios make these cookie bars great for the holidays as well. I’d make these all year long too, since they are the perfect cookie to reach for if you’re wanting something with lower calories than a traditional dessert. 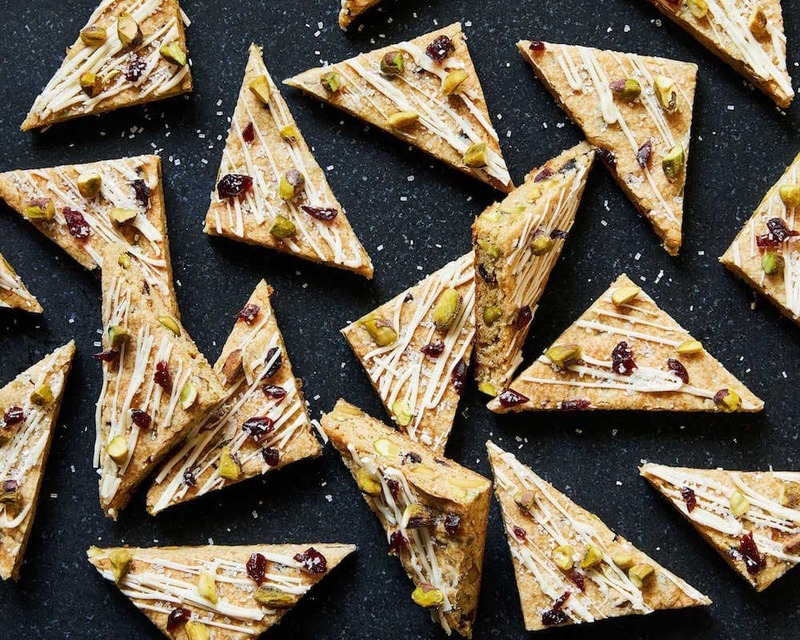 I love baking with pistachios, and Wonderful Pistachios No Shells make that easy! I don’t have to fuss with shelling each nut, and they are lightly salted and flavorful. Grab a bright green bag and get baking these cookie bars with me! Pistachios and cherries are a classic combination. The flavors are perfectly complimented and the colors just pop. 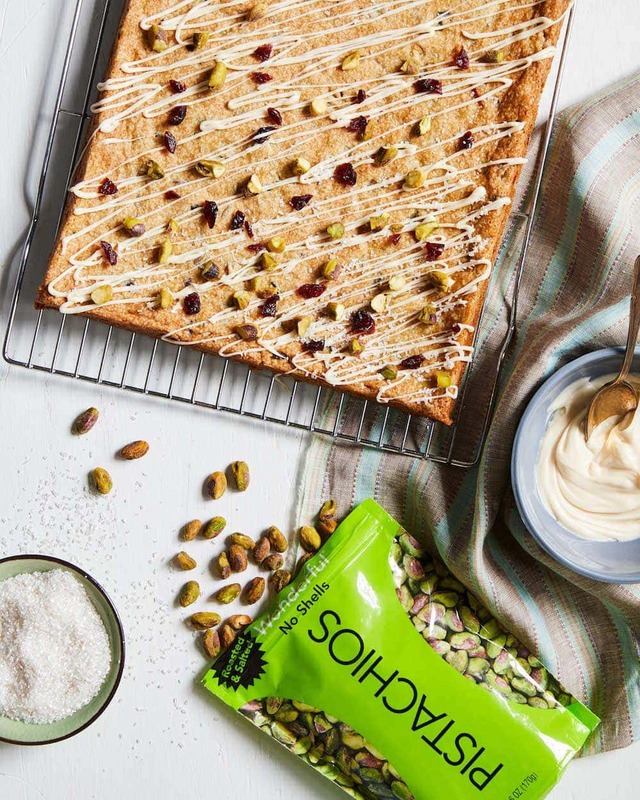 I had this flavor combo in mind when I created these pistachio cookie bars, but I also wanted something that tasted indulgent, but didn’t come with the guilt. Read on to see how I cut the fat! How do you make low fat cookie bars? I went with the classic swap of apple sauce for butter. I was able to cut the butter in half by using apple sauce! These cookie bars are similar to a blondie in texture and taste so the apple sauce swap didn’t ruin flavor or texture, it actually improved it! These caramel-tasting cookie bars are a mix between shortbread and chewy blondies. Only about a half inch thick, they cut into perfect cookie squares that look festive and delicious. 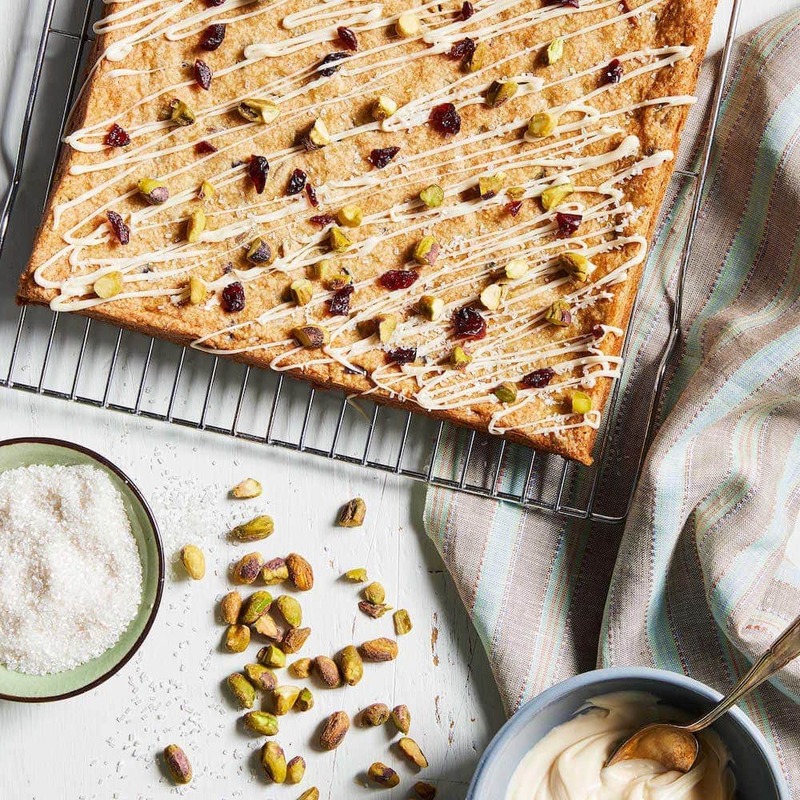 Drizzling these cookie bars with pistachios and cherries with a little melted white chocolate, takes them from ordinary to special! Using just egg whites in these pistachio cookie bars also nailed the low-fat check box. I still get the leavening power of eggs but not the rich egg yolks. The extra fat wasn’t necessary because the flavors and texture are so lovely. Adding Wonderful Pistachios No Shells and cherries also boosts the power of a low fat cookie bar. Mixed with vanilla and ground ginger there is so much going on in the cookie you don’t miss the butter. A little drizzle of melted white chocolate takes these from ordinary to special. 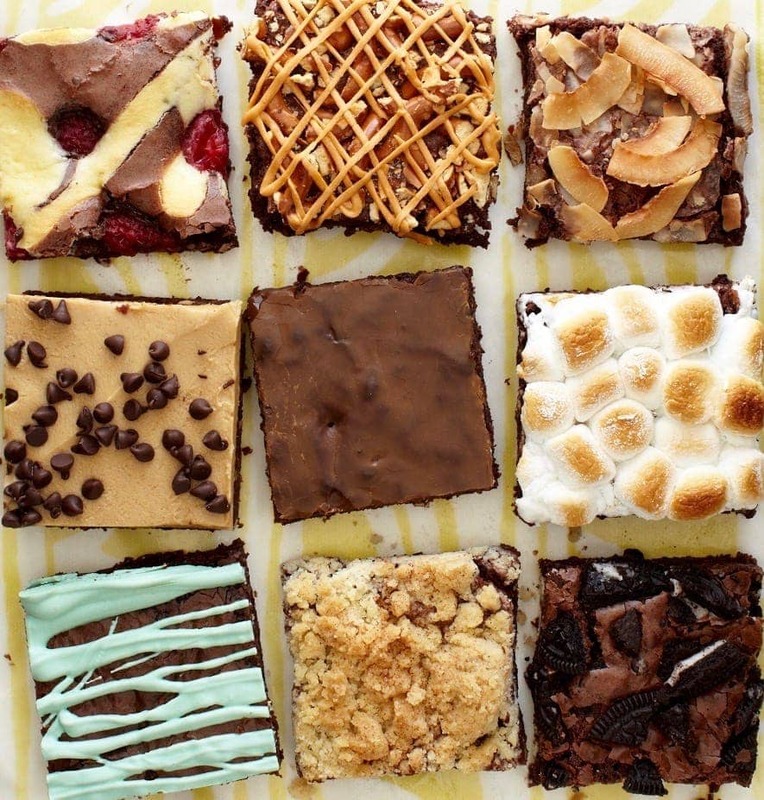 One note about baking photo-worthy cookie bars is that you want to have a great 9-by-13-inch pan! I have two of my favorites. These straight-sided pans have sharp corners and no sloped edges, so I get the perfect shaped cookie bar each time. It is a heavy aluminum so it bakes evenly and beautifully. I also like that I can line it with parchment and the paper fits right to the edges so there is no wrinkling or creases. I used white chocolate melts (The Merkins brand here are delicious real chocolate) on these pistachio cookie bars in place of icing. A little goes a long way and it looks pretty too. Chocolate melts melt easily (I put them in a microwave in a glass bowl for a few seconds at a time until they melt when stirred) and set quickly and well. Using white chocolate chips is fine, but chocolate chips have an ingredient in them that helps them stay soft after they have melted. It takes them a long time to set back to a hard crack stage. I opt for the chocolate melts when I can. These white chocolate melts are easy to find at craft stores too. You can also use white chocolate bars. Just heat them, the same way in the microwave, and stir until melted. Pistachio Cherry Cookie Bars are perfect for lunch boxes or holiday cookie swaps! 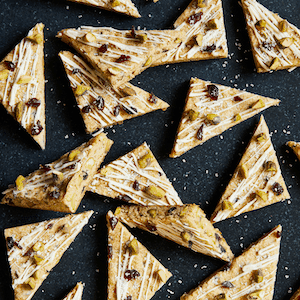 Simple, yet festive, with less calories than traditional cookies. I like to put the melted, and slightly cooled chocolate, in a little plastic bag. The freezer zip top bags are the most sturdy. Add the melted chocolate to one of the bottom corners and twist the top to form a little piping bag. Snip a small corner from the bag to make a hole and then use that as a piping bag to drizzle the chocolate over the cookie bars. 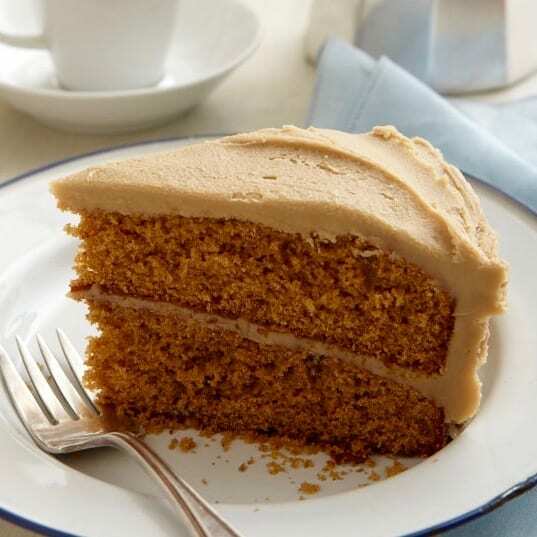 You can also use a spoon and hold it a big higher over the bars and swing it back and forth to get the drizzle design. • I have you cutting the bars before drizzling because the chocolate cracks once it’s set, so the beauty is gone if you drizzle before you cut. • The best knife for cutting cookie bars is an offset knife like this offset serrated knife. You can cut all the way through each slice without hitting your knuckles on the cutting board! These low-fat cookie bars are lower in fat and calories than traditional cookies, but loaded with taste and holiday festiveness! Use dried cranberries in place of cherries if you'd like. Heat oven to 350ºF. 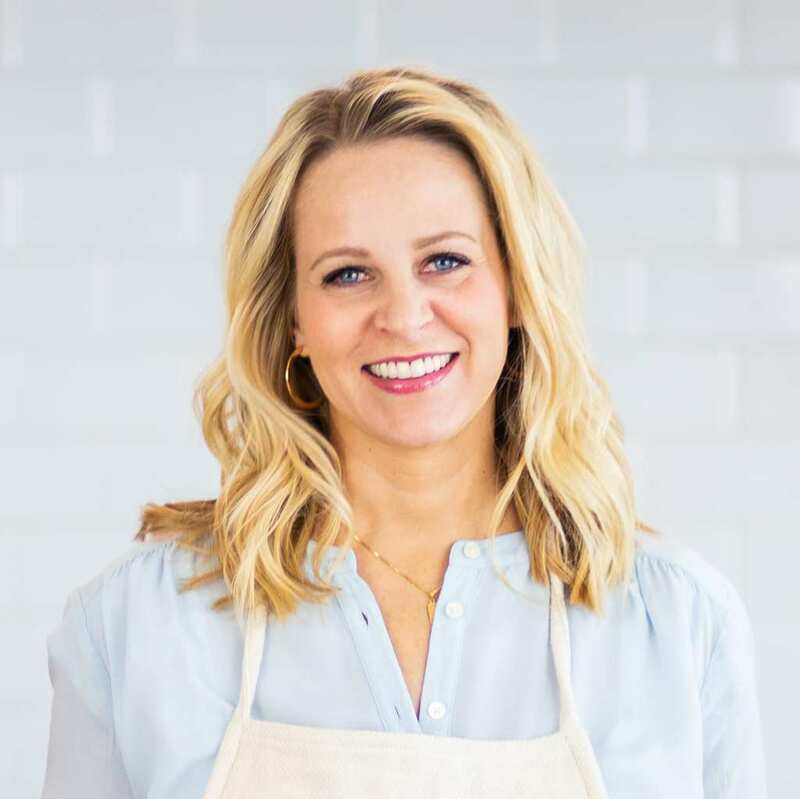 Line a 9-by-13-inch baking pan, or dish, with parchment, allowing two sides to hang over so you can lift the cookie bars out of the pan. Spray with cooking spray. Whisk together the flour, baking soda, salt and ginger and set aside. In the bowl of an electric mixer, beat the butter, apple sauce, egg whites, sugar, brown sugar and vanilla until combined and lightened, about 2 minutes. Stir the dry ingredients into the mixture in two batches, scraping sides and bottom of bowl frequently. Fold in pistachios and cherries and transfer to the pan. Using a small spatula gently spread batter into the corners and edges of the pan and smooth the top so the batter is an even layer in the pan. Bake until the edges are just turning golden and there are no crumbs when a toothpick is inserted in the center, 12 to 14 minutes. Do not over-bake. Let cool in pan completely then loosen edges and lift the cookie bar out with the parchment. Cut into 15 squares then cut those squares in half diagonally. Set close together on a work surface. Melt white chocolate melts and drizzle over cookie bars. Immediately sprinkle with extra pistachios, cherries and sanding sugar. Let chocolate set then serve. Will keep in an airtight container for up to 2 days. • You can use a chopped white chocolate bar in place of the white chocolate melts. I don't use white chocolate chips because I don't think they set and firm-up as well after melting. 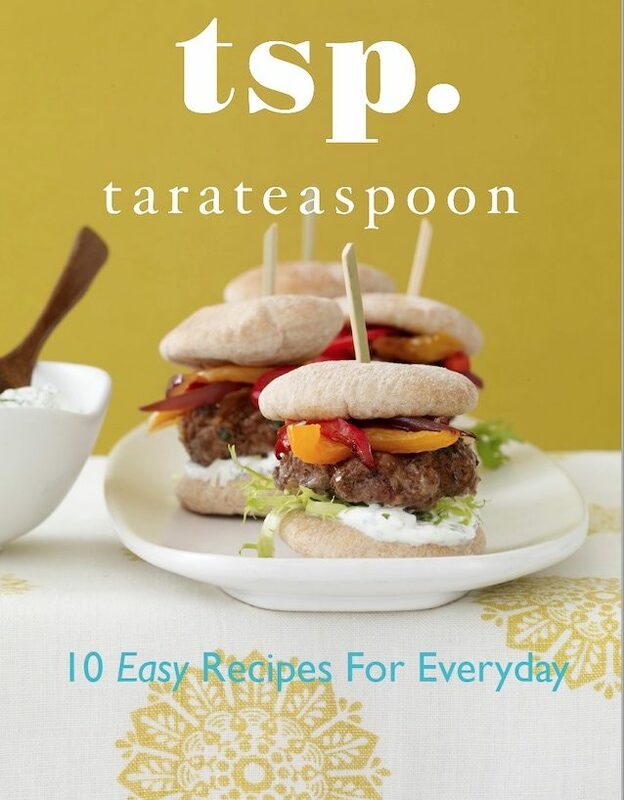 Recipe and Prop & Food Styling by Tara Teaspoon. Photography Ty Mecham. These are SO perfect for the holidays and a fun addition to any Christmas cookie plate! I love the pistachio and cherry combination and these are just gorgeous! I LOVE LOVE pistachios, but I’ve never baked with them. These bars look delish! You had me at low-fat! I am surely trying these out. 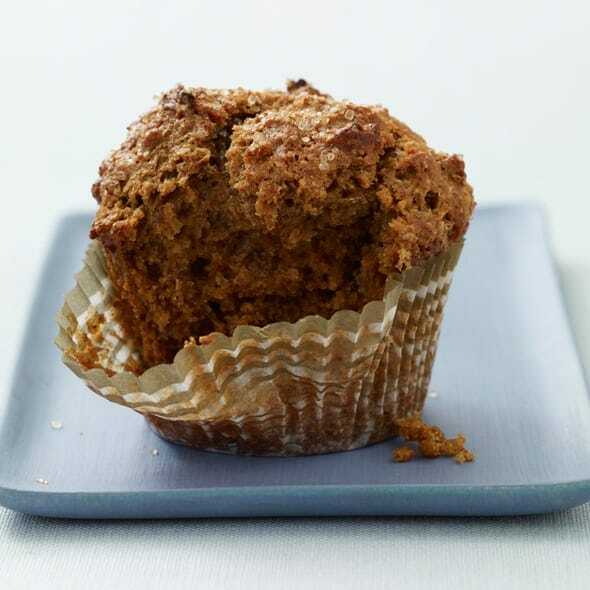 I love how you managed to create a fiber-rich low-fat treat without taste compromise. Omg this is so so good with coffee! I am watering just by reading it. Thank you for sharing so creative recipe! These look so yummy! What a great list of pistachio recipes too! These look SO GOOD. I love holiday cookies that are a bit different than normal! I’m printing this right now so that I can make these treats! They look amazing!